Rally Sweden is unique, being the only winter rally of the 14 legs in the WRC. A winter event that brings together the world’s best rally drivers with music, good food and a festival atmosphere. Here, spectators get right up close to where it’s all happening. And as a partner, you can reach them all – and make them your fans too. Around 200,000 spectators around the course. And more than 100 million rally fans in front of TV and computer screens around the world. We are currently making the preparations ahead of this winters Rally Sweden, and you can see some of this year’s partners below. There’s still time to add your own company’s name in some form or another. So, what do you want to achieve? Feel free to call or e-mail us and we’ll get back to you. Founded in 2008, we have rapidly grown to become Scandinavia’s biggest car parts e-retailer serving thousands of satisfied customers every week. Thanks to the internet you can now purchase quality car parts at seriously discounted prices. We guarantee you a great e-commerce experience from people that know car parts! A constantly growing catalogue reaching over 350 000 articles provides a wide selection of quality car parts for your car. We are working with industry leading suppliers to provide the best quality and best value for money. We have spare parts & car accessories for all major car brands such as Audi, Bmw, Chrysler, Citroen, Ford, Honda, Hyundai, Jeep, Kia, Land Rover, Lexus, Mazda, Mercedes, Mitsubishi, Nissan, Opel, Peugeot, Renault, Rover, Saab, Seat, Skoda, Subaru, Suzuki, Toyota, Volkswagen & Volvo. For your safety we co-operate with major banks and secure payment gateways to provide a secure shopping experience. We work with modern technical platforms to fulfil your payment in the most secure and comfortable way. By using some of Europe’s best logistics companies we guarantee fast deliveries to you. We also practice a 30 days purchase on approval to further increase your security. The most important thing to us is that you are satisfied when shopping from us. We are committed to providing quality service and truly believe that satisfied customers are our best ambassadors. Swecon Anläggningsmaskiner AB is the authorised and nationwide dealer of Volvo Construction Equipment in Sweden. The Swecon Group is also represented in the Baltic countries and parts of Germany. With over 550 employees and 40 service locations in the country, Swecon can offer you a complete range of construction machinery, equipment, spare parts, service, training and support. Swecon can also help with financing and insurance when purchasing a piece of Volvo Construction Equipment. No shortcuts. Only hard work. our society, today and tomorrow. We see workwear as tools for performing a better and safer job and we know that high quality always pays off. Therefore, as the only manufacturer of workwear, we provide a lifetime warranty on the seams in our garments. It takes courage and ingenuity to succeed in creating the best conditions, as well as a determination to take responsibility, all the way. We control the manufacturing process from start to finish, with social responsibility throughout the entire production line. Consequently, this results in one of the widest ranges on the market with 3 million garments in stock and a 97% security of supply. High-tech solutions, fair production, smart logistics and efficient distribution make it possible to live up to our users demands and our own vision: moving society forward, inch by inch, seam by seam. Out of that vision comes our driving force: to provide those who carry out the hard and demanding work with appropriate workwear for every occasion. Värmlands Folkblad is a media house for all of Värmland. In all our different medias we give the in-depth reports of what is important for Värmalnd and its people, and present it in a way that engages the readers. With our offer, Trippeln: Värmlands Folkblad, Metro and Karlstads-Tidningen, we reach no less than 101.000 persons. VF.se has approximately 130.000 unike visitors each week. BioBag products are a family of fully biodegradable and compostable bioplastics which use renewable resources to provide a solution with low environmental impact and to solve specific environmental problems in various sectors, such as foodservice, packaging and the separate collection of organic waste. Bags made by BioBag are fully biodegradable and compostable and can be reused also for the separate collection of organic waste. BioBag are in compliance with the law and are certified by bodies that guarantee their conformity to the EN 13432 standard. BioBag are certified by TÜV Austria for both home and industrial compostability. We’ve designed a targeted approach of partnering with synergistically aligned companies across the globe to reach thousands of customers worldwide. The main strategy behind our partner concept is “Think Globally – Act Locally”. More and more people discover the advantages with renting a car in order to be flexible and to be able to choose car according to the actual situation. Europcar is Europe’s leading car rental company with 3 500 rental locations and 195 000 vehicles in 150 countries. In Sweden Europcar is present in 135 rental locations with 5000 cars. Europcar in Sweden is operated by Europeisk Biluthyrning AB, a subsidiary of Volkswagen Group Sverige AB. Europcar has received Business Travel Award as Best Car Rental Company five times in eight years. Both owners and employees within Liveside have years of experience from large and small events, and an urge to help creating better, safer and more fun events. We guarantee that we fulfil all our commitments. We know, from experience, that without devoted suppliers a good event is very hard to succesfully plan and carry out. Liveside Event have everything from tents and fences to toilets, electrical equipment and environmental friendly disposable goods, for rent or to buy in stock. Liveside Event is suppling you with all the equipment you need to carry out your event. NeH, founded in 1964, is the leading supplier of souvenir/promotional products and event merchandise, in Sweden. NeH offers the customers a flexible fullservice solution, including product development, inhouse production, web solutions and an unique logistikcenter. NeH is the official merchandise supplier to a number of major national and international championships and event. Olssons Brygga has for twelve years been the obvious choice for summer visitors to Western Värmland who are looking for good food and nightlife. Olssons Brygga sits in the harbour of Arvika, the innremost harbour of Sweden. Besides the fantastic location and the live music from both Swedish and international acts, we’re also an excellent choice for having dinner with friends or familly. The kitchen offers anything from charcoal grilled entrecôte to fresh pikeperch caught in the adjacent lake. In the wintertime we offer great solutions for having meetings and conferences. We have modern facilities, all the necessary equipment and of course an inspiring environment. Suez Sweden is one of Sweden’s leading companies in recycling and garbage disposal, with 1100 co-workers, 60 local offices and treatment facilities. Our vision and our commitment shows effective and environmentally stable solutions with a focus on new ideas and long-term sustainability. Sunne Gymnasieskola/Södra Viken is a modern upper secondary school where theoretical and practical work are effectively combined. Our school has an extensive cooperation with the industry. Here you will find education which will bring you into the labour market. Södra Viken has from its very beginning worked for education within forestry. In 1999 an education was established within vehicle and transport with specialization towards forest and biofuel and environmental transports. Consequently, we can today offer two vocational programmes, which combine theoretical and practical work; Natural Resource Management Programme, specialization forestry and Vehicle Engineering and Transport Programme, specialization transport. Our school also has two programmes for pupils with learning disabilities; Forest, land and animal Programme and Vehicle Care and Freight Handling Programme. The Viking Group is one of the largest Nordic assistance companies with operations in Norway, Sweden and Denmark. The Group has approximately 200 staff members and employs over 3,000 people through our franchisees. Our job is to make the car driver’s life safe, efficient and predictable. The Group has extensive experience; we are present everywhere and are constantly developing better and more efficient ways to assist our customers. Viking offers assistance to all types of vehicles, and has partners that make it possible to help customers on a global level. Viking has contracts with most insurance companies, car manufacturers and a number of foreign partners. In addition to roadside assistance, we provide services in medical assistance and handle service and emergency calls on behalf of various partners through our 24-hour call centers in Oslo, Stockholm and Copenhagen. The Viking Group offers a wide range of services to a broad customer base in the insurance, automotive and finance sectors. Region Värmland is an organisation that the county’s 16 municipalities have formed jointly with the county council to take responsibility for regional development, growth issues, culture and adult education in Värmland. The organisation was set up in 2001 as a municipal association. Six years later the organisation was changed when the Government decided that every county could set up a cooperative body to take over responsibility for a number of Government functions from the county administrative boards. We have therefore been responsible for functions that include the planning of infrastructure in the region, i. e. rail, road, shipping and aviation, since 2007. Region Värmland is also responsible for five colleges for adult education and several regional resource centres, including Visit Värmland, the Regional Resource Center for Dance and the Regional Energy Agency. Everything we do at Region Värmland involves creating the conditions for growth in the county: growth that is economically, socially and environmentally sustainable. Karlstad is a wonderfully compact Swedish city and has a ‘big city’ grand feel, with many quality hotel and other accommodation options, with the advantage that Karlstad’s many attractions are just a short walk away: shopping streets, malls and arcades, culture, parks and historical sites. 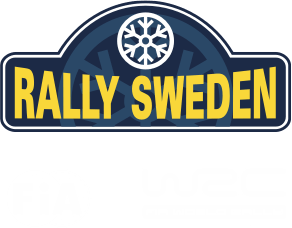 With the rally headquarters based at Karlstad CCC in the city, Karlstad will be abuzz with all things ‘rally’ for the duration of the race and very much in party mood. During the past few decades Torsby Municipality has become a tourist destination offering a large variety of activities, events, recreational facilities and lodgings. Our geographic location provides the possibility for year-round tourism that is not easily found elsewhere in Sweden. Summer offers a fantastic variety of nature-based activities thanks to our abundant wilderness, lakes, rivers and streams. Bathing, fishing, hunting, canoeing, mountain biking, rafting, hiking and wilderness safaris are just some examples from a large assortment of activities. The home of world champions, WRC-rally and market leading tool steel. But also beautiful landscapes, amazing scenery and a stillness you can’t find anywhere else. During the second week of February, Hagfors becomes the focus for everybody who loves motor sport. The forests are crowded with supporters, rally enthusiasts and local people who all want to be a part of the festivities. After a long day out in the forest the party continues in the town, where there are many activities and events during rally week. To make it short: the World Championship party is better in Hagfors than anywhere else! Sunne is an active and beautiful place to meet. In the summertime you meet artists like Tobbe Trollkarl and Sean Banan in the Water theme park Vattenlandet and famous bands and artists at Fryksdalsdansen. Or join us when the Swedish and Norwegian national teams in cross country skiing, men and women, battle it out on roller-skis in the center of Sunne in the Inge Bråten Memorial. It’s probably the special mind-set of the people of Värmland that makes everything possible in Sunne. We have Selma Spa+, the first Spa facility in Sweden and voted best Spa in Scandinavia and we have the coolest Water Theme Park in Scandinavia. Sunne is alive with activities such as theatre from Västanå teater in the Berättarladan, a film festival, a culture week, concerts and lots of other things. In the winter time Ski Sunne, a visit to the spa or a show at Hotel Selma Lagerlöf are the highlights. And if you haven’t discovered Rokkmakkstugan at Ängen yet, it’s a great place for families in the winter.